Award Winning Wedding Officiants Serving Hudson Valley, New York City, Long Island, Northern New Jersey, and BEYOND. We are grateful for all of the couples we’ve had the opportunity to work for who found us through The Knot. Congratulations on your weddings and best wishes for a wonderful life together. We’re so happy for you all! 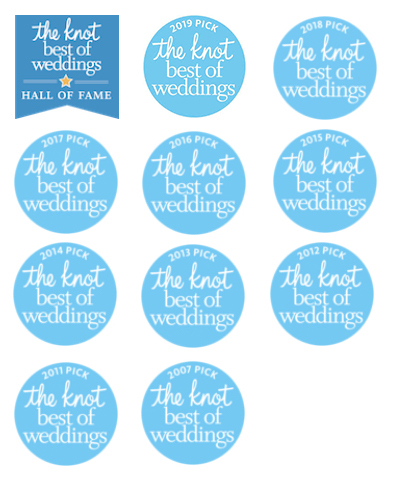 Here are some of the reviews we’ve received at The Knot. “My husband and I were married last weekend at the Highlands Country Club by Norma Mortal from One Heart ceremonies. From our first meeting with Norma our nerves and excitement were meet with a calm reassurrance from Norma that she would create a personalized and unique ceremony that encaptured our relationship. Through our meetings, emails and phone calls Norma was consummate professional with her many years of knowledge and experience being apparently obvious. We were amazed at the personalized and touching ceremony she created for us which includes a special roll for my now step-daughter and other family members. We never could have imagined how perfect it was. Thank you Norma for making our special day that much more meaningful and unforgettable.” – Trish F.
“If we could give Mark 1,000,000 stars we would! We had no idea what to expect when choosing an officiant, and as a couple of mixed faith we did not want to base our ceremony around one specific religion. Finding Mark was such a blessing… He not only worked with us for countless hours to personalize our ceremony but truly made us feel like he cared about us as individuals. All of this came through and was so evident on our big day… Mark’s ceremony was beautiful, heartfelt and perfectly portrayed our relationship to our loved ones that were there with us. He helped us to come together as a couple before our union and his beautiful words truly made our day so special. Everyone just raved about the ceremony and Marks overall demeanor. We are certain that our relationship with Mark will extend much further than being just our officiant, as it truly feels like he is now part of the family! If you are looking for the perfect person to marry you (and so much more) look no further… Mark is your guy!” – Alexandra A. “We had the pleasure of working with Mark and he truly did a wonderful job. He was detailed, thorough and professional, yet personable, engaging and exceeded our expectations. His writing was heartfelt and beautiful as if he had known us throughout the course of our entire relationship; he had us all laughing and crying. He facilitated a totally customized and original wedding ceremony and we could not be happier with the outcome or recommend him highly enough!” – Jordan A. “My husband and I cannot say enough wonderful things about Mark! We were referred to him by a friend who also used One Heart for their wedding ceremony and from our first meeting he was a joy to work with. He took so much time and effort to ensure that he really got to know us and the type of ceremony we wanted. Although our ceremony took place at our venue, my husband and I are both Catholic and so we did want a touch of religion present in the ceremony. Mark did a wonderful job of executing a ceremony that was truly a reflection of ourselves. We received so many compliments from our guests throughout the cocktail hour and reception. Thank you Mark for all you did in making our wedding day so special!” – Casey R.
“My husband and I were married at the end of September and Norma was our officiant. We could not have asked for a better officiant, our guests are STILL talking about how incredible our ceremony was! We are an interfaith couple and Norma new exactly how to include things from both faiths, without making it uncomfortable for either of us or our families. She even through in a couple of surprises that really were so special to my husband and I. Norma is so kind and warm and a pleasure to work with.” – Renee V.
“We highly recommend One Heart Personalized Ceremonies. Norma took the time to learn about us and skillfully incorporated those details into our service. They live up to their name, a truly personalized ceremony. ” – Stephen M.
“My Husband and I loved Norma!! She was so helpful and made us feel so calm and comfortable. From our first meeting till our wedding day, she was always there to help us! Our ceremony was so beautiful and personal which is what we wanted! So happy we chose One Heart Personalized Ceremonies!! Xoxo” – Natasha P.
“Just had my wedding and I can honestly say the ceremony was the best part. Mark did an amazing job conducting the ceremony. He took out many hours of his time to answer any questions I had a made a beautiful ceremony for my wife and I. Have to use Mark if you want an experience that makes you and your significant other feel special.” – Sal R.
“Mark performed our ceremony on 7/22/2017 and he did an amazing job. He took the time to really understand what values are most important to my husband and me. He really listened and was able to convey who we are in our ceremony. All of our guests commented that the vibe of the ceremony truly matched our personalities. Mark was on time, professional and a pleasure to work with. I would highly recommend One Heart Ceremonies.” – Stacey P.
“We had the pleasure of having Norma Moutal officiate our wedding on July 8, 2017. Norma put together a wonderful ceremony that perfectly reflected our relationship. All of our family and friends raved about Norma afterwards and stated that she put together a very memorable ceremony. She is truly a pleasure to work with. We knew right away from our first meeting with her that we would want her to officiate our wedding. She is very warm and easy to talk too , and had great ideas on how to incorporate both our faiths into our ceremony. 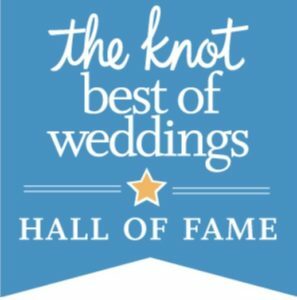 If you are looking for a beautiful ceremony that is tailored to your relationship, don’t hesitate in booking with One Heart Ceremonies!” – Kimberly F.
One Heart Personalized Ceremonies – We are Norma and Mark, Ordained, Certified, Interfaith Ministers, Wedding Officiants and Ceremony Consultants with over 25 years of experience, education and training. We believe that couples choosing to get married should have the opportunity, if they wish, to participate in the creation of their own unique ceremony. We have experience in helping couples find ways and words to honor their core values and to create a ritual that is meaningful. Whether you are looking for a ceremony that is traditional or non-traditional, we will create a mood and atmosphere that is sacred and heartfelt. Serving New Jersey, the Hudson Valley, New York City, Long Island, and Beyond.